Are you looking for ways to improve your smile? Here is a list of the most common cosmetic dentistry treatments offered at Life Dental Implants, designed to give you a beautiful, natural-looking smile you can be proud of! Teeth straightening or orthodontic treatments move your teeth into proper alignment, solving crooked teeth problems. Teeth stains and discolourations are removed with teeth whitening treatments. 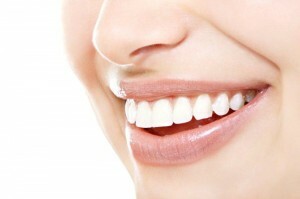 Veneers are thin porcelain shells placed on the front part of teeth. These shells improve the appearance of cracked, chipped, broken, decayed, or severely stained teeth. A crown is used to restore the form and function of a decayed or damaged tooth; it can also be attached to a dental implant to replace a missing tooth. 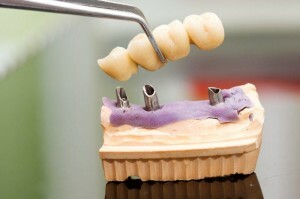 A dental bridge is used to replace a few missing teeth. 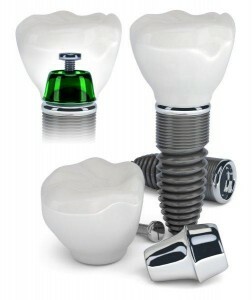 A dental implant replaces the form and function of missing tooth roots. Together with a dental restoration such as a dental crown or a dental bridge, implants are ideal missing teeth replacements. A smile makeover is a combination of two or more cosmetic dentistry treatments to improve the entirety of the smile.